A complete and organic sound... Catchy at first sight but also complex enough to make the listener spend some energy to follow... European dominated, American structured and Middle-East influenced... These are definitions that any concerned jazz listeners can automatically give even in the Computer Crash and Jerusalem State of Mind, the first two pieces of Israeli/American jazz trio's first album The Bell Garden. 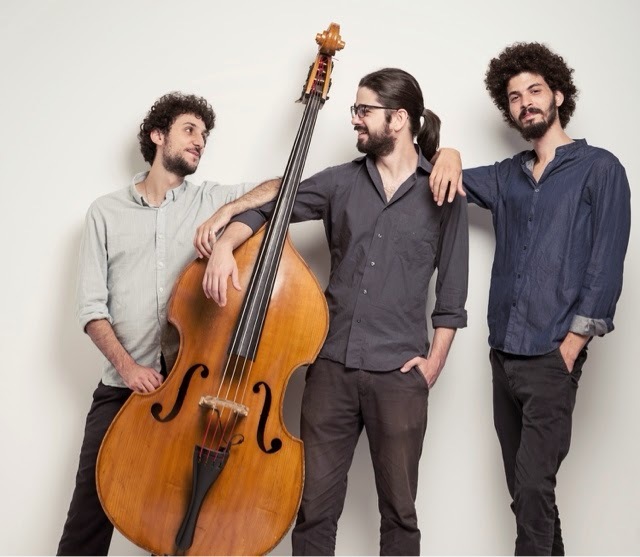 The members of this piano trio are young, energetic and good friends: Gadi Stern on piano, Daniel Benhorin on bass and Matan Assayag on drums. The compositions are collaborative. These seem to be the main pushing forces behind their success in releasing a mature album even in the debut. In my opinion, the modesty in compositions and performance styles are signs of self-respect. They sound like they know very well about what they are playing and they are not in a rush to show themselves off with too crowded and flowery things. The album was lively recorded in Kicha Studios in Tel Aviv in January 2014. Record and mix (at Slick) belong to Ori Winokur assisted by Asaf Shay and Florina Mandel. The album was mastered by Jonathan Jacobi. It seems there is not a label behind and it is an independent production. Especially the introduction part and shifts in tempo of Computer Crash and the full dynamic range they are using there are holding the listener on the sweet spot for the rest of the album with high expectations. The space they let listeners take some rests in and the energy level which is gradually increasing make the piece a highlight of the album. Jerusalem State of Mind seems to start with some city sounds from Jerusalem and these are actually going on in the background throughout the piece. So it feels like the trio is playing in some squares or streets while the listeners are passers by. Some parts sound almost like Latin which means they are there to represent some joy whereas some others look like coming from European melancholy. Jerusalem... Maybe it's a city of such mixed feelings. Leaving Maine is obviously one of the most impressive compositions of the album in which the band is demonstrating how good they are in controlling the tension in their music starting from a basic low tempo piano and brush accompanied dignified bass line to somewhere all members are pushing each others to play more and more energetic. In my opinion the power of a piano trio lies in here. The bass solo just before the energetic part worths listening over and over. A kind of generic bass entrance turns into a groovy and serious piece in Brain Damaged Pumpkin Pie. The interchange of the main theme between the piano and bass gives an alive texture to the piece. The improvisational part where the main theme is totally left and the return from this part are successfully performed. There are many nice surprises within the piece keeping the audience alerted every time. Some interesting, naturally produced, almost-asymmetric percussive sounds are continuously coming from very back of the record in the beginning of the 5th track and this actually provides a deep background for the rest. Everything Passes, Even The Trees has a bipolar characteristics: the first character is the silent, piano based one whose energy is constantly growing up till the end, and the second one is the almost aggressive part triggered by the piano and driven to a higher state of energy by the drummer - a very catchy melody from the piano is accompanied by the energetic drum and bass in this part. There is also an instantenous return from the second part to the first one resulting in an enormous groove. Elephant feels like it is related to some Far East thing with interesting percussion partitions. The distorted and effect carrying piano tone -may even be some electronically improved keys- increases its mystic aura. Unlike the others playing almost the same ritual-like partition over and over, the bass sometimes follow some interesting lines. The long introduction ends with a complete blast of the whole band and one last time we hear the distorted piano just before they finish. 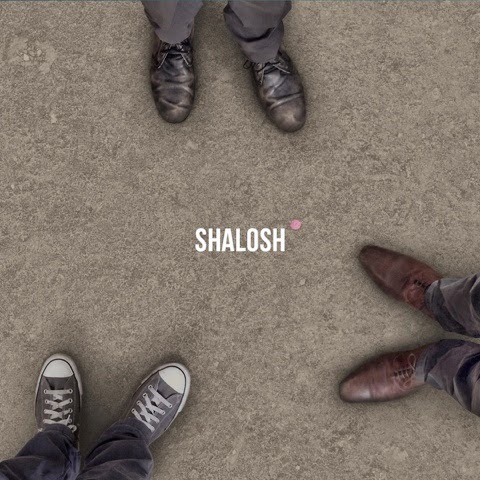 Pleasure and Disgrace is another very beautiful composition of Shalosh. It sounds almost like a pop hit and having been played this qualitatively, the piece is among locomotives of the album. The drummer's timing is very precise in connecting piano's groovy touches. The bass and piano are following a similar line while the drum-set is responsible for the tension control in the piece. The bassist deserved to be in the title in Song for Daniel with his nice and dominant performance. The piece has a mainstream style - in the sense of traditional American jazz. Here we see the US impression on the band. There are some electronics added to the keys, which is a successful act to increase the diversity. Get Gone is a nice, minimal and jazzy Fiona Apple cover. The trio is again using the dynamic range as much as they can by starting from very low level signals. I am especially impressed by the difference between sound levels of two hands on piano. The drummer can be recorded better considering these low level parts but the idea and the performance is beautiful. The minimal rhtyhm section of Sandy is very well in harmony with the soft and touchy piano partitions. This calm piece is sometimes transformed into an energetic one mostly thanks to the master hands on the drum set and the piano's responses to the increases in the tension are just amazing. Eulogy -consistent with its name- may even be called the dark end with its melancholic bow performance and the dry snare drum which sounds almost like it is in a funeral band. The piano is alike, it is almost a part of piano sonata performance in andante. The last notes from the keys sound like the demonstration of the inevitable destiny.